Veterans Day was first named Armistice Day and was established after World War 1. Fighting during the ‘Great War’ ceased when an armistice, or temporary cessation of hostilities, between the Allied nations and Germany went into effect on the eleventh hour of the eleventh day of the eleventh month. And so, President Woodrow Wilson proclaimed November 11 as Armistice Day. Armistice Day was then reformed to celebrate all veterans, not just those that died in World War 1. The first national celebration occurred in 1947. Congress amended the act in 1954, replacing Armistice with Veterans, and November 11 been known as Veterans Day ever since. 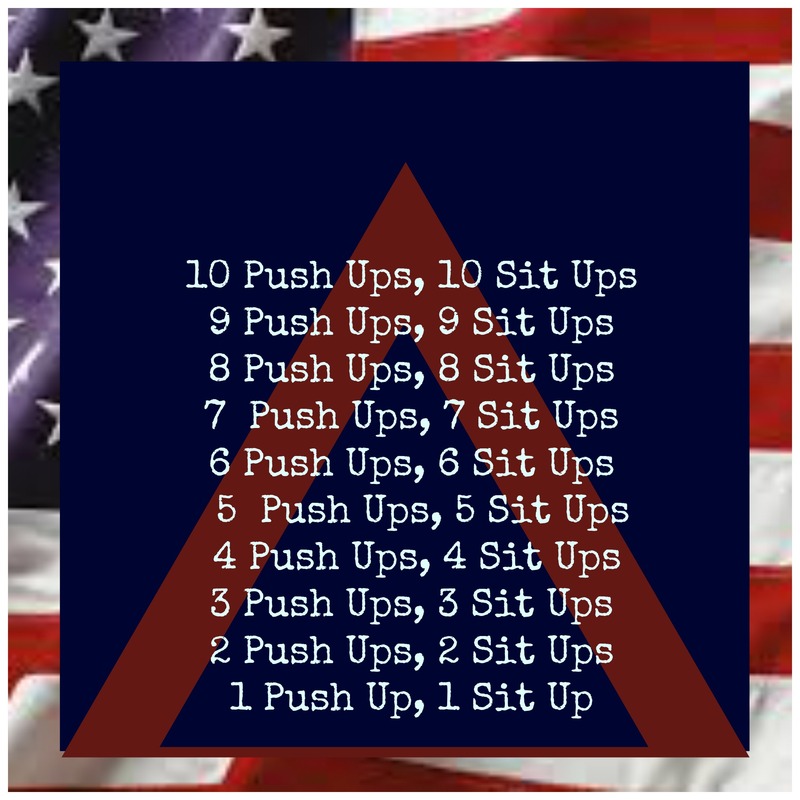 In honor of Veteran’s Day, today’s workout is from an Ensign in the US Navy. Start with the push ups, flip over and go right into the sit ups. Travel all the way up the pyramid and back down for a total of 100 push ups and sit ups. Enjoy! Thank you Veterans, and those serving, we appreciate everything you do! I realllly didn’t want to run outside today, it was just too cold and gloomy. Excuses, excuses. Yesterday at CrossFIT we did a bunch of leg work so today I thought I would work my arms a bit. 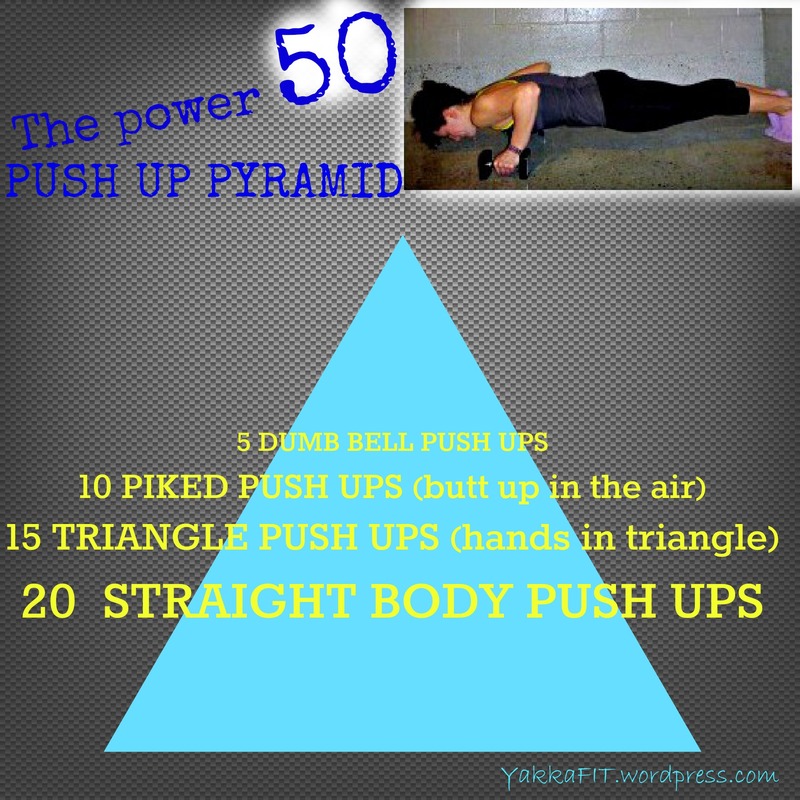 This is the pushup pyramid I did today. You can do it anywhere, you don’t need equipment, and it doesn’t take up too much time. It does, however, burn like hell.